Kathleen Clark was born in Allentown, PA into a large family of five children. Her parents were organic gardeners and composters – great role models for this master gardener early in her life! Kathy received a B.A. degree from Lebanon Valley College with a major in Sociology. Kathy is married to Clarence H. Clark, V and they have two grown children, Elizabeth and Chip Clark. This busy person’s hobbies are reading, gardening and traveling and since 1997 she is a volunteer certified Master Gardener with Penn State Cooperative Extension. Her special interests are food policy issues, native plants and flower arranging. It’s no wonder that Kathy was drawn to Horn Farm Center! She first became involved with HFC as a volunteer for the 2010 TomatoFest event. Kathy continued to volunteer in the role of Chair of the Education Committee. She was at the helm for the initiation of Homesteading Education Day and also the Summer Solstice Celebration, in addition to other educational events. 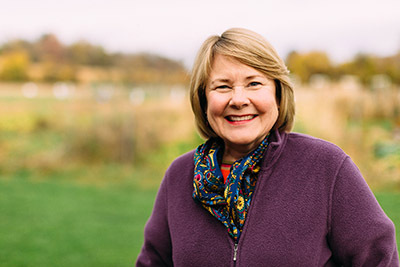 In 2014 Kathy became a member of the Horn Farm Board of Directors. She completed the Leadership York Leadership Training Program in 2015 and is currently participating in Leadership York’s Mentorship Program. The Horn Farm Center for Agricultural Education is grateful to have such a hard-working board member in Kathy, dedicating so much of her time to our success. Shayne Smith discovered the Horn Farm Center as a volunteer in 2015 when his Leadership York team raised money to pay for a new wash station and shelving in the Jeffrey Crist Memorial Pole Barn. These additions improved the offerings that the Incubator Farm could extend to beginning farmers. As a longtime fan of wildlife, birds, hiking, gardening, landscaping, and all things outdoors, he was drawn to the Horn Farm mission and programs. Originally from the Danville and Bloomsburg area of Pennsylvania, Shayne met his wife Kim at Bloomsburg University and followed her back to her home town of York in 1990. After brief stints at Voith Hydro and Precision Components, Shayne settled in at Met-Ed in 1992 where he has worked in various departments, most recently as a Key Account Manager. Affectionately known as “fish guy”, he is the owner/operator of Aquarium Services of York. Shayne and Kim have three children and plenty of extended family in the area. Erin is a native of Adams County, PA, where she grew up in the apple orchards of Gardners. Erin’s family worked the fruit orchards, picking apples and cherries, and also in the manufacturing of fruit into applesauce, pie fillings, etc at Mussleman’s Foods in Biglerville. As well as working in agriculture and the food processing industry, Erin’s family members were farmers since they arrived from Germany in the 1700’s, and probably farmed the land in Germany before their migration! Erin’s grandparents were the last generation to devote much of their lives to farming. Modern convenience and large scale agriculture freed their time for other pursuits, but the love of tending to growing things remains strong. Erin graduated from New Oxford High School after moving there from Gardners in eighth grade. She went on to earn her bachelor’s in nursing from York College. Erin worked as an RN for several of the area hospitals, as a school nurse for Bermudian Elementary, and as a hospice nurse at AseraCare Hospice. Erin’s passion for alleviating suffering gave her the opportunity to excel in her work in hospice, eventually becoming the Executive Director of the York agency. The leadership skills that Erin honed in her role as Executive Director prepared her for her work in helping to establish the Bridges to Health program at Wellspan, co-founding the York Time Bank and leading the York Chapter of the Weston A. Price foundation. Erin continues to be passionate about alleviating suffering, which she believes is done most successfully through education and access to healthy life choices. 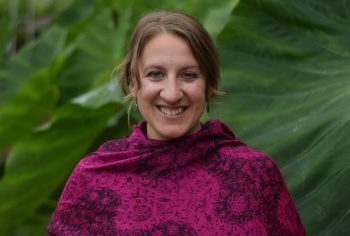 Erin spends most of her time these days homeschooling her children, teaching yoga, reading and finding ways to serve in her community. She is excited to have returned to her agricultural roots and to serve the community through the important work happening at the Horn Farm Center. The past decade has found Tammy Bray returning to her roots. She was born in York county into a family that spent time farming and gardening for their livelihood and the love of it. One of her earliest memories is of growing Brussels sprouts in the backyard garden at the age of three. She finds it exciting to watch our local culture returning to eating and preserving locally grown food, as she took part in this with her family and has fond memories of this as a child. She once again gardens and grows food in her back yard, and enjoys sharing this with her husband, grandsons, friends, and neighbors. She began learning more about the farming side a decade ago when she became a working share member with a local CSA, and then about six years ago when she began volunteering at Horn Farm and Agricultural Education Center. Tammy was drawn to the HFC through her interest in the squirrel tail oven. She then continued at the HFC assisting in seeding and transplanting plants for the annual plant sale, as a liaison between the incubator farmers and Healthy World Café, and various other learning experiences. She found excitement in being more involved with the people who brought the farm to life, were sustaining it, and who are uplifting and positive. And now, she enjoys being part of the farm as a Board member taking part in the regeneration of the farm and the land. As a cultural creative, Tammy has a desire for being in healthy relationship with all of Life, and inviting others to share in this with her. 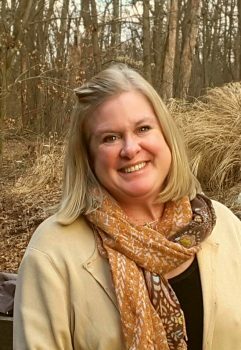 In the past, this played out for 20 years as she earned her bachelor and master degrees to work in positions as counselor/therapist with children and families in a variety of settings, including their homes and schools. She then moved on to engage in alternative healing work in various venues, which includes being a practicing yogini and teacher. Some of the ways she enjoys Life is through being in nature, African dance and drumming, and many creative arts including cooking. 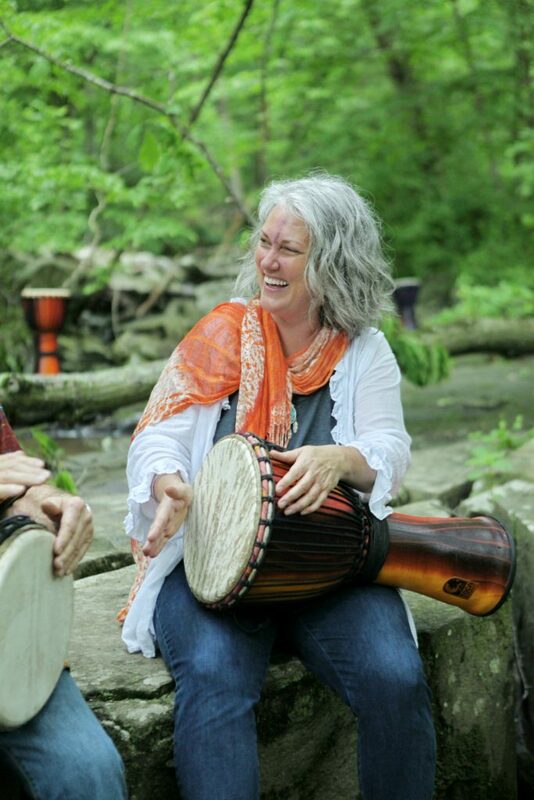 For Tammy, she sees all of these experiences, and more, as a brilliant woven tapestry of Life. She is interested in seeing Horn Farm Center for Agricultural Education as one of many places in our culture that brings people and nature together in balance once again. Allen was born and raised in South Louisiana where, in the soggy backyard, in honor of Allen’s birth, his father planted a live oak tree which still thrives today. Allen enjoyed gardening with his father and mother as they would ponder and test different techniques to maximize their production. His enjoyment of the outdoors led him to joining the scouting program where he worked to attain the Eagle Scout rank. Throughout his scouting and scouting leadership years, he enjoyed spending times on trails, waterways and in the forests of Louisiana, Arkansas, and Mississippi. 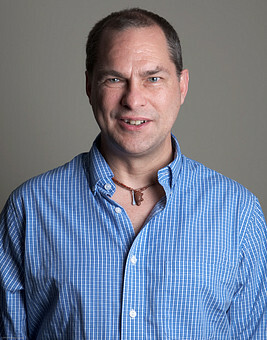 In college, Allen studied Marketing and Business Administration at the University of Louisiana where he focused on marketing research and strategy. Throughout and after college, Allen worked in varied media including television, live music and events, web, and he even hosted a number of public radio programs at Lafayette’s NPR affiliate. A need for change and opportunity brought Allen to Lancaster County, Pennsylvania where he became enamored with the unusual relevance of farmers and farming. He learned this by attending markets and striking up conversations with the farmers and even producing a short documentary about food distribution routes. He and his wife, Kerry have four children, Gabe, Olivia, Remy, and Iris and they are firmly rooted in Central Pennsylvania. The family went on a journey to reduce their impact on the environment and live sustainably and after accomplishing so much in terms of gardening, composting, recycling, chicken keeping and more, Allen couldn’t wait to try the next step in regenerative living and growing. He’s attended many regenerative practice classes and tries to stay well-read on the subjects of carbon sequestration and soil management. 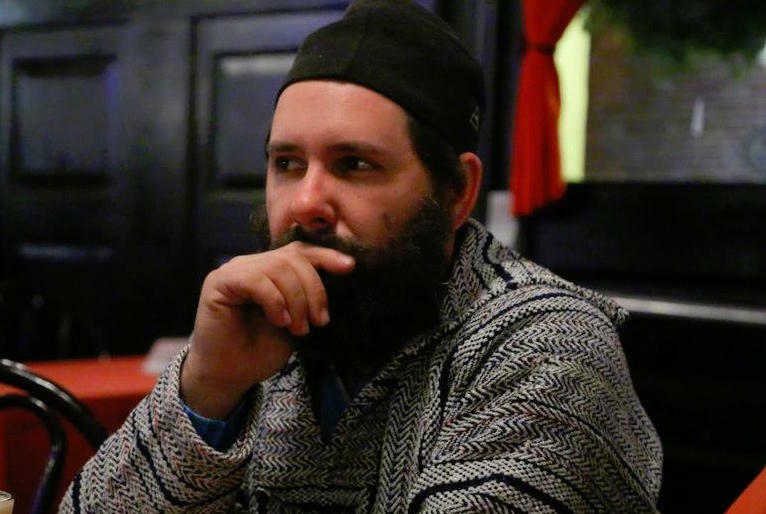 Allen is currently enrolled in a year long biodynamic farming training program at the Pfeiffer Center in New York. 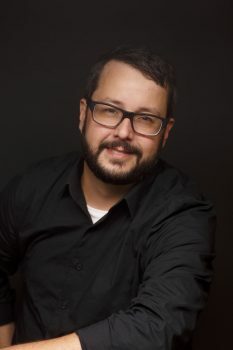 Allen is currently a producer/director and in charge of animation production at MAKE films, a Lancaster City based production company and throughout this career has served many food and farm industry clients including Sauder’s, The Hershey Company, Hanover Foods, AHOLD/Giant and many more. He hopes to bring what he’s learned from grocery and food marketing to area farmers as our food buying behaviors shift. Allen also runs a blog/social media site that is ramping up to provide video inspiration and education as well as regenerative experiences to his community. Allen has always seen Horn Farm center as a friend and ally in his personal mission of spreading regenerative living and farming and is very proud to be able to have a place on the board to help them provide the most education and research to our community. David Dietz has farmed in Hellam Township for most of his life. Growing up, he helped every summer on his parents’ truck patch farm, and he helped tend the roadside stand on the Lincoln Highway about a mile west of Wrightsville. 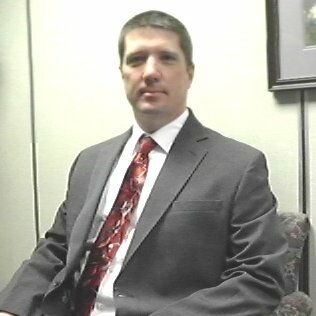 Always interested in history, David earned a BSE in Social Studies from Millersville University in 1995, and spent several years teaching. Eventually, however, his love of the land drew him back to farming. In 2002, David started vending produce at York Central Market, where he continued until 2017. 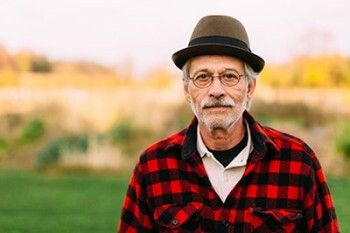 A founding member of the Horn Farm board, David helped start the Community Gardens and the Incubator Farm Project. Currently employed as the produce and dairy manager at Lemon Street Market in Lancaster, David is now interested more than ever in the challenges faced by local small-scale agriculture in a globalized commodity-driven economy. He is thrilled to see the Horn Farm Center leading with a vision for regenerative practices, learning from and working with nature. David is happily married to Waldorf teacher extraordinaire, Rochelle Dietz, and they have a delightful teenaged son, Gabriel. Jeri Robinson-Lawrence is a Shepherdess and Fiber Artist who raises rare breed British Longwool Sheep and Shetland Sheep in York County. She is currently the Vice President for the North American Wensleydale Sheep Association and is a member of the Leicester Longwool Sheep Breeders Association and the North American Shetland Sheepbreeders Association. Jeri is also co-owner of Flying Fibers, a full-service fiber arts store in Landisville, Pennsylvania. 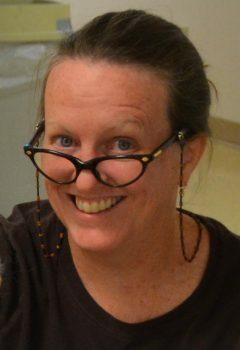 When not working passionately to practice preservation of rare breed sheep through education, you will find her working as a Professor of Art & Design at Millersville University. Kris resides in Hellam Township with two teenage sons and her husband, Jeff, a retired soldier and historian. She has been an active member of the Hellam Township Environmental Advisory Council since 2013. Professionally, Kris has practiced as a registered landscape architect. In this capacity, she has been able to guide and influence natural and built environments as they were created, modified and/or restored. Her work has focused on institutional and campus communities, senior assisted care, urban redevelopment, and private residential design. Areas of current interest include food source availability for wildlife biodiversity, soil science, invasive species management, and riparian geomorphology restoration. Prior to coming to York, Kris volunteered with several urban community organizations, facilitating park, playground and streetscape planning, grant applications and implementation. A lifelong visual artist, Kris is comfortable in various illustration mediums and digital design programs. She often uses visual tools to portray ideas, convey information and explore beauty. Personal interests include visiting local nurseries, gardening, kayaking and playing outdoors–often with Irish Jack Russells in tow. As the parent of a young traumatic brain injury survivor, there is also an ongoing exploration of adaptive sports and employment, rehabilitation and living opportunities for disabled young adults. Kristin Byrnes Baker Kristin Byrnes Baker returned to her hometown of York after living in North Carolina, Texas, and abroad. 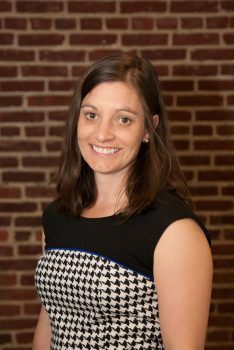 She is the Director Of Development at St. Joseph School and a freelance grant writer. She holds a B.S. in Business Administration from Elon University. She is a volunteer at United Parish Soccer Club and Catholic Harvest Food Pantry. She had a community garden plot at the Horn Farm in the inaugural season. After that, she had a work share for several years at Sterling Farm, one of the first farms in the Horn Farm’s Incubator Farm Project. She is passionate about expanding her knowledge of restorative farming practices. Marcus promotes the application of a living systems, regenerative approach to building projects. After 12 years at the Pennsylvania Energy Office, he founded Energy Opportunities in 1993 to provide technical consulting services on all manner of building energy issues, renewable energy systems, the environmental impacts of human enterprises. Marcus is also a partner in 7group, a multi-disciplinary team of professionals developing the capacity of your project and organization to affect how humans regenerate life through building. Marcus is a LEED Fellow, an accredited LEED Project Reviewer, and a Living Future Accredited Professional. Volunteer activities have included leadership positions with the USGBC (LEED Steering Committee, LEED Technical Committee, LEED Market Advisory Committee and past Chair of the Energy & Atmosphere Technical Advisory Group), the Green Building Association of Central PA (Founding Board Chair) and the International Living Future Institute as a Living Building Challenge Ambassador. He co-authored The Integrative Design Guide to Green Building published by John Wiley & Sons in 2009 and was the primary author of The Pennsylvania Solar Manual published by the PA Department of Environmental Protection in 2006. 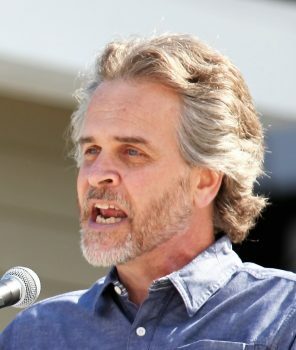 Sheffer earned a Bachelor of Arts degree in Environmental Studies in 1981 and a Master of Science degree in Public Administration in 1986, both from Shippensburg University. Marty Reed Marty Reed was born in Middletown, New York and moved with his family to southern Lancaster County at the age of five. He graduated from Penn State University with a B.S. in Marketing Management in 1969. Shortly thereafter, he began his career in the metals industry, working for the same company throughout his 42-year career. Marty and his wife, Connie Hannigan, were drawn to Hellam Township by the undeveloped rural atmosphere. They became involved in the Smart Growth Movement and in an attempt to keep the township rural, Marty then ran for supervisor in the township. He won in 2001. Marty‘s interests have always involved the outdoors with hiking, backpacking, gardening and travel.Marty firmly believes in the sustainable/organic food movement and healthy diets. His involvement in Horn Farm Center began with his membership on the Township Board of Supervisors. When he retired, he fulfilled his promise to offer hands-on support to Horn Farm Center as a Board Member and chair of the Finance Committee. Wade Keech Wade Keech was raised on a farm in Adams County. His childhood experiences lead to his love of the land.He has a B.S. degree in chemistry from Millersville University and a MBA in Sustainable Business Systems from Pinchot University. He served as a Peace Corps volunteer in Ghana and lived in West Africa for almost seven years. These cross cultural experiences deepened his appreciation for the simple life. He fulfilled a childhood dream by hiking the entire Appalachian Trail. This wilderness immersion led to hiking the entire Pacific Crest Trail and Continental Divide Trail.